It started with a phone call late on a Tuesday afternoon. 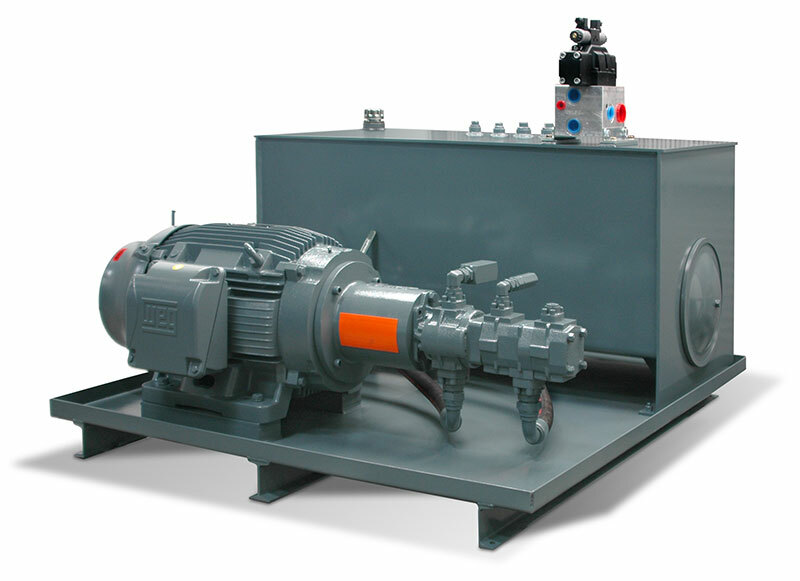 A new customer in Tennessee reached out to us to build a Custom Hydraulic Power Unit. Not an unusual request for AFS. AFS went into action. The request went from our customer service department to the Sales Manager who assigned to Matt, one of our Sales Engineers. Matt began communications with client to gather technical specifications for the project. Preliminary components were discussed to meet the initial performance requirements. After the preliminary review, the scope of the project drastically changed. The customer’s second power unit experienced catastrophic failure, changing the timing and specifications of the initial build. A phone conference was scheduled for Friday. The specifications now required that the new power unit replace two units and had to be completed and delivered by the following Friday, eight days away. Friday: Seven Days to Go. AFS again, went into action. With seven days to go, Matt had drawn up a schematic and AFS had located all of the components and parts. The confirmation for delivery would be in time to manufacture the power unit to meet the delivery date. Parts were placed on order and the custom drip pan to hold the system was sourced locally to expedite the build. One integral part of the unit, the reservoir, was located in Illinois. Saturday: Six Days to Go. Realizing the reservoir would not get on a truck until Monday afternoon and take 2 days from Illinois to York, PA, our Sales Engineer left Saturday afternoon so that he could pick up the reservoir first thing Monday morning. Monday: Four Days to Go. Loaded and on the road, our Sales Engineer, Matt was driving 13 hours straight so that assembly could begin first thing Tuesday morning. Meanwhile our in-house engineers completed the bill of material review and approved the final schematic. The manufacturing department, knowing there was limited time for the build, prepared for assembly to begin first thing Tuesday morning. Tuesday: Three Days to Go. The locally fabricated drip pan arrives and with the reservoir, pump and motor, assembly begins. Wednesday: Two Days to Go. Assembly is complete and the Hydraulic Power Unit begins operational testing to meet and exceed the customer’s specifications. Late in the day, two line-pole power fuses blew, shutting off power to the building. 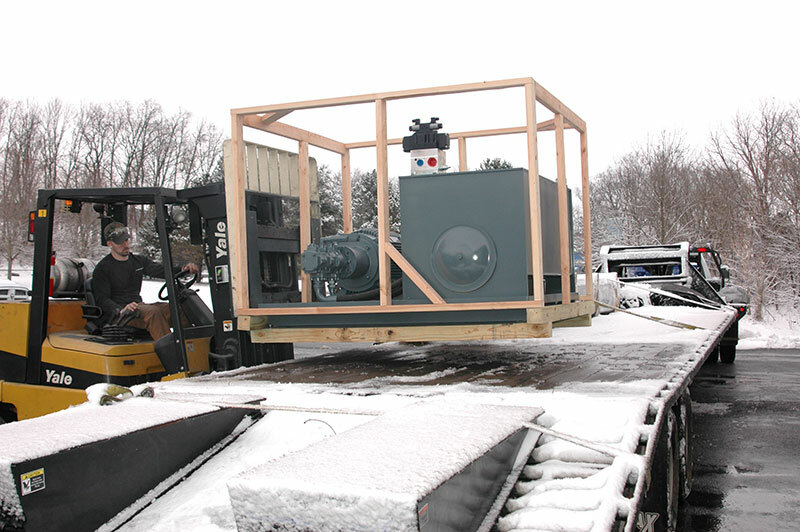 The manufacturing department worked late after the building power was restored to paint the unit to insure it was ready for shipment the following day. Thursday: One Day to Go. The Hydraulic Power Unit is prepped for shipping. 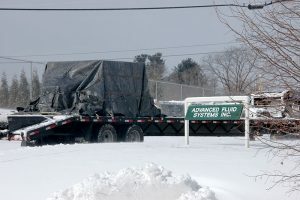 A wooden frame is constructed to keep the transportation tarp from adhering to the still tacky paint and protect it from the snow storm that had blown in the night before. The power unit arrives at its destination in Tennessee where it is installed with the help of a local hydraulics company. Customer reports that the unit works well and is happy to be up and running again. While this project gives a chance to show a non-typical situation where we get to boast a little; the real message is how Advanced Fluid Systems will do whatever it takes to get the job done. Coming up in a future article… learn why an AFS sales engineer recently went to Bangladesh to help a customer. Have a unique or challenging application? 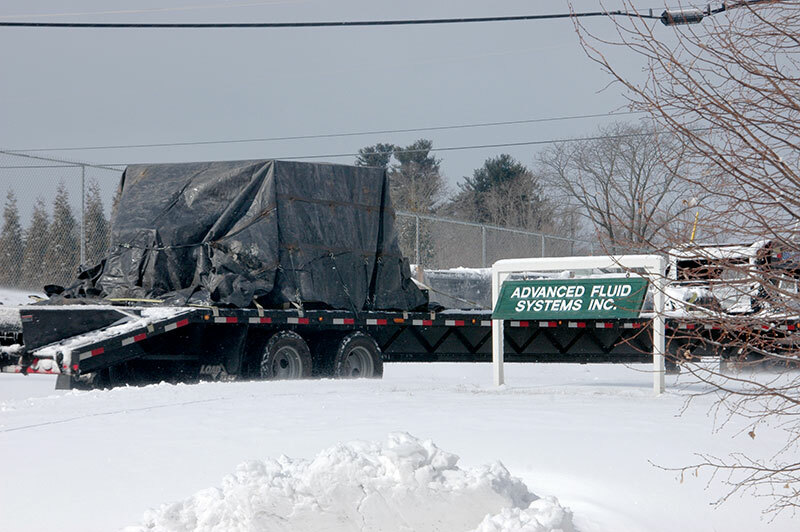 Contact us and watch Advanced Fluid Systems go out of their way for you.